Truth is, the majority of your website visitors won’t convert on their first visit. And if you’re not doing anything to change it, you are losing countless opportunities to convert users who have already shown interested in your brand. If you’re not ready to part with potential customers that bounced, you need to master the art of retargeting. By displaying retargeting ads to your potential customers based on their past behavior on and off-site, you can not only keep your brand in front of the bounced traffic but also lead it towards the conversion. There are 5 types of retargeting strategies. Each has its pros and cons, and that’s exactly what we will be looking into today. Pixel-based retargeting allows you to display your ad to any anonymous visitor of your website. When someone visits your website and certain pages on it, a browser cookie is stored to retain this information. Later the cookie is used to show your ads to individuals based on their previous behavior on your website with the intention to take them back and encourage further conversion. With pixel-based retargeting, your ads can be seen as soon as the visitor leaves your website. And that means that you have a chance to bring their eyes back to your products or services. The only downside to pixel-based retargeting strategy is that it’s directly connected to the traffic of your website and visitor behavior on it. This means that with no traffic coming your way, you won’t be able to display any ads. In other words: no traffic, no one to retarget. A few days ago I looked up hotels and resorts in Phi Phi Islands using Booking.com Little did I know that I’ll have this ad following me around for the next couple of weeks. If I clicked on the ad, I’d be redirected the page with exact getaway destination and dates I was looking up in the first place. This time I wasn’t seriously considering booking a place for my stay in Thailand. However, if I was serious about my trip, this ad would probably catch my attention and lead me towards faster conversion. Key takeaway: Personalized offer takes the user to correct landing page. It’s a convenient and relevant ad with high conversion potential. It’s been a little while since my last visit to Asos website. They noticed it too. Most importantly, they acted on it. Asos is not only trying to bring the visitors back to their website. They are displaying items or categories of items you’ve previously visited, to make the ad more personal. And as we already know, the more personal – the better. Key takeaway: Target users who haven’t visited your website in a certain amount of time. Display previously viewed items on your ad or introduce new arrivals. Social media retargeting is a type of pixel-based retargeting. Therefore, it works similarly. It focuses on displaying ads to people visited your website and/or interacted with your posts on social, let it be likes, comments or shares. The other day I visited MVMT homepage and looked through their 40 Series product category. A few minutes later, I start seeing MVMT ads not only on Facebook but pretty much everywhere I go. Truth is, if not this ad, I’d never know that they offer free shipping, free returns and two year warranty with each purchase. It kind of makes me want to go bath to their website and place an order! Key takeaway: Capture the attention of your first time visitors by displaying ads with relevant, personal and too-hard-to-resist offers. Let ad platform do its magic and show ads to users who match the uploaded email addresses. List-based retargeting is not as common as pixel-based, but it definitely has what to offer. List-based retargeting allows marketers to have highly customizable criteria for their ads. And as we know, personalized marketing efforts drive significantly higher conversions results. On the flip side, the match between email addresses you have and email addresses that are used to manage social media accounts can vary from 70-80% down to as low as 20-30% for some platforms. This means that in order to make this type of retargeting campaigns effective, you need to have a fairly large mailing list on your hands. I’m using SiteGround hosting services for a couple of years now. Truth is, I don’t remember when was the last time I visited their homepage or searched for similar type of services. However, as SiteGround’s customer, I’m most definitely on their mailing list, which allows me to make an assumption that they used list-based retargeting to present me this ad. Key takeaway: Retarget your existing clients by introducing the new product or services they haven’t tried yet, or could possibly be interested in learning more about. As you can probably guess, this form of retargeting allows marketers to display ads to users based on their search behavior. 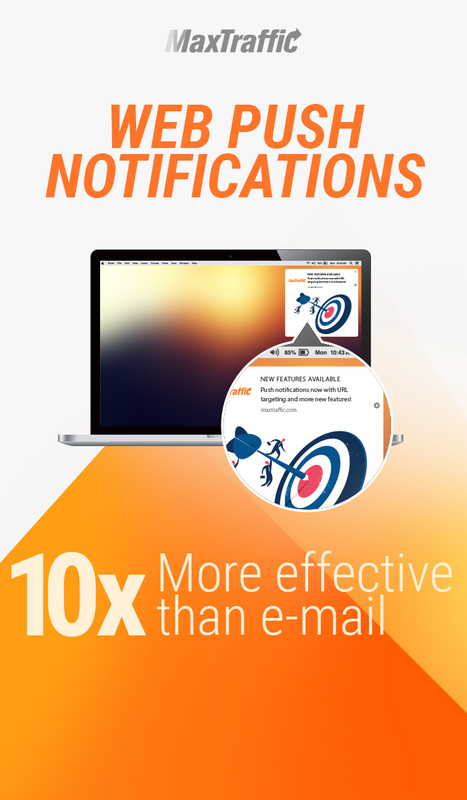 This type of retargeting works as an outreach tool that can drive qualitative traffic to your website. With search retargeting, your ads are shown only to those users who have previously searched for a certain keyword or phrase. I’m pretty sure I was searching for “customer lifetime value” definition when I a few days later my eyes caught Optimove ad. Not all retargeting campaigns are only about bringing user back to your website. Some of them, in fact, are meant to keep the visitor on your website for longer, trying to convince them to make their first purchase or upsell and cross-sell them. Exit intent popups have been around for a while, and while others trying to prove they ruin customer experience, the rest are utilizing this tool because they simply work. Only those who saw the banner and saved the promo code will get to enjoy the discount. Key takeaway: Give out discount codes to create the sense of exclusivity and prolong visitor’s stay on your website. Another way to retarget your audience is to use side banners or promo bars that are not intrusive yet remain visible throughout the entire time of the visit. Another way to retarget your audience is to use side banners or promo bars. They are not intrusive yet remain visible throughout the entire time of the visit. Feel Unique uses a promo bar that sticks to the very top of their website to inform all incoming visitors about an ongoing sale. If a visitor comes to the website to purchase a particular item this promo bar won’t be interrupting him. However, this if he’s just looking around, he might as well check out the sale. Key takeaway: Offer information that is visible but is not interrupting the visitor. Probably the biggest mistake you can make when running retargeting ads is displaying the same creative design and copy to your audience. You need to be more flexible in your strategy and remember that just because a visitor hasn’t clicked on your retargeting ad doesn’t mean that he’s not going to. It makes sense that if your ad has been displayed to a certain individual for several weeks and conversion didn’t take place, chances are your ad is not resonating to the individual you’re trying to reach. So what is wrong with your retargeting ad then? It can be the copy. Perhaps the offer or benefit presented in your ad is not interesting to the audience you’re trying to retarget. Quite often, offering something different increases the chances of getting a conversion. Your retargeting campaign can also be unsuccessful because of visual presentation of your ad. That’s why you should occasionally change up your ad design. Sometimes changing the smallest detail, such as color of your call-to-action button, can significantly increase conversions. Last but not least, it’s important to address the frequency issue. Just like with everything in marketing, displaying your retarget ads too often can work against you. It can not only decrease the performance of your retargeting campaign but also make your audience numb to your message. Most retargeting tools offer an option to put a cap on the number of times your visitors will be shown your ad within a particular time frame. The goal of any retargeting campaign is to focus on people that are already familiar with your brand and could potentially be interested in buying from you. In other words with your retargeting campaigns, you are trying to transform your cold leads into warm leads, and warm leads into paying customers. Whichever retargeting strategy you’ll choose to proceed with, remember that you are reaching out to website visitors who didn’t convert. This means that you have to deliver a relevant offer with a clear value that would convince them to take the plunge this time. If retargeting campaigns don’t bring significant change in conversions, don’t rush to give up on those bounced visitors yet. Change up your ads, formulate a new offer or display your ads less frequently.